The appearance of the skin strongly relies on the water content. 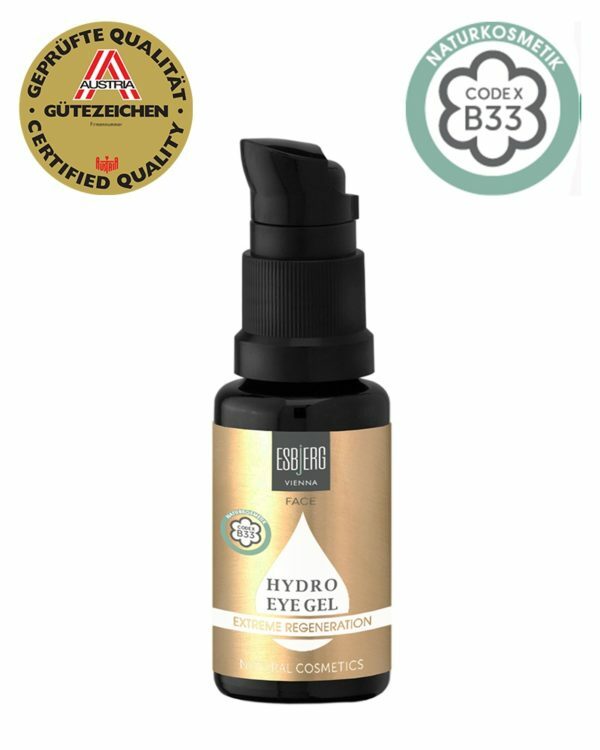 The eye gel of the ESBjERG HYDRO LINE is, likewise the face serum, based on the valuable extract of the South African desert plant myrothamnus flabellifollia, which can almost dry-out completely in periods of drought but survive unscathed at anew watering. Applied to the skin, the effect assures a strong and lasting hydration, which brings back the youthful appearance of the skin. 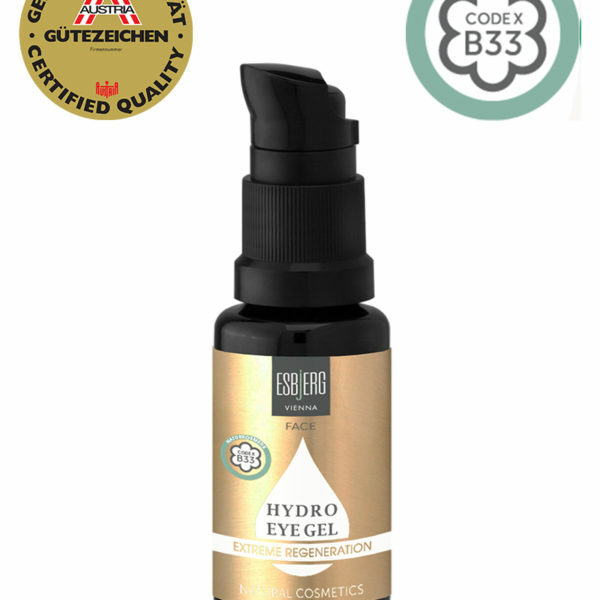 Balanced to the needs of the sensible eye area, the eye gel offers lifting (acacia Senegal gum), antibacterial (Biological witch hazel water) and reduces swelling (biological eyebright extract), in addition to the powers of the myrothamnus flabellifollia plant. A single application revives the skin and keeps it moisturized for up to 48 hours. After five days, the skin regenerates itself sustainably. After ten days, the skin barrier is mended completely. The full rehydration potential is fully utilized. The exclusive ESBjERG HYDRO LINE offers a powerful skin regeneration based on the latest research in terms of cosmetics. There was no need for inventing something new, instead close observations of the survival tactics of the flora were made and adjusted to the human body. The extract of the African resurrection plant myrothamnus flabellifollia, a stately desert plant, which is able to endure long periods of droughts with its amazing adaptability of regreening a few hours after the first rain, is used as a base for ESBjERG HYDRO LINE. ESBjERG’s HYDRO LINE uses this special resurrection process to enable anti-aging at the highest possible level. The ESBjERG HYDRO LINE protects the membrane structure of the skin such as vital skin lipids against dehydration and oxidative stress. The skin texture is being improved sustainably, redness is reduced and irritated skin calmed. Revive your skin! Refinements are never enough, a revolution is necessary.